Complaints…! Confusion…! Doubts…! Performance review troubles..! Seem to never exit from the life of HR professionals. Let’s have a quick look at their challenges and then we’ll find out what keeps them going. If any of these questions are running through the cavities of your mind, you are definitely in the spotlight! Usually, HR professionals deal with this kind of mental weight. Hundreds of employees work in different verticals in different organizations, and their supervisors are often seen struggling & finding answers to these questions. We all know there is no replacement to hard work. Similarly, there is no standby to ‘motivating words’ and ‘healthy discussions’ when it comes to employee performance reviews. The HR managers must watch out for the most ethical, transparent and positive approach to process employee performance evaluation. 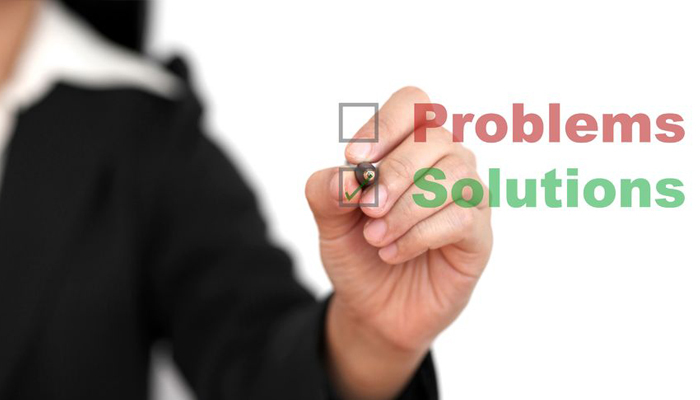 After analyzing a lot of research data and reports, we have come up with few strategic elements to help HR people in finding solution to their problems. Read on. Hiring is a tedious process. And so is the performance evaluation. It is recommended to recruit right candidates for the jobs they are most passionate about. It helps in getting high productivity. While taking any professional on board, it is essential to outline his (or her) job responsibilities, goals and expectations. DO – If required, schedule regular discussions focused on goal setting so that your employees know what you expect from them! Since performance is a basic parameter for defining status of an employee. There is a need to evaluate it from the beginning. Make sure all new employees know the significance of performing well and the consequences of being a non-performer. DO – “The Sooner The Better”, don’t hesitate to share your feedback on their immediate performance. Speak about the scope of improvement. Create weekly or monthly performance reports of all employees and let them know if they are meeting or exceeding or lagging behind the expectations! Maintaining proper documentation of performance reports is the best way to keep things transparent between the employee and the employer. DO – The HR professionals should consult the immediate supervisors or managers of employees before giving them apt rating and score. An honest review without any favoritism makes the process transparent and smooth. Ensure the same approach prevails at your work place! Believe it or not, words of motivation can bring a world of difference to your employee’s performance. Most of the organizations do not put efforts in uplifting their non-performers; instead, they think it strategically wiser to terminate them and look for replacements. Though it is challenging to transform management’s ideology of any organization, but it is advisable to continuously motivate employees to build their confidence and high spirits. DO – Conduct one-to-one sessions to guide non-performers on how they can meet job responsibilities and strive to stay competent. The sole purpose of sharing feedback is to get the employee on right track. Therefore, it is essential to choose ‘positive set of words’ that sounds motivating. However, it is also needed to provide immediate feedback whenever any random issue arises and find appropriate solution for the same. DO – It is good to talk about the valuable contributions of the employee. DO NOT forget to do that. And if you have anything negative to say; make sure you do it in a way which doesn’t sound rude or insulting. Use sentences like “There is some scope of improvement in…” Realize the power of positive feedback! As conversation is the key to reach win-win situation in an employee performance review program, DON’T do all the talking. DO – Allow the employee to speak what’s on his (or her) mind! Take his inputs whenever you feel it is necessary. Treat him well in the review discussion so as to keep his excitement level up. It is highly recommended to not use any words or phrases that can be demotivating for the employee. Look into the matter seriously and leave no stones unturned to take the conversation in positive direction! Today, most of the growing organizations have implemented online employee performance review software which has made huge difference in their work approach and employee’s satisfaction levels. The software collaborates employee, manager and HR person on the same platform, it makes the employee performance evaluation process transparent and quick. Real-time feedback and time saving are two major advantages that give wings to HR team members. What else one can ask for! Many performance review programs get into the bad light and employees find it difficult to take critical reviews from the HR managers. In worst scenarios, employees might respond negatively to the entire process. So, why not take help of HR technology to make this entire process of employee performance evaluation less excruciating! !